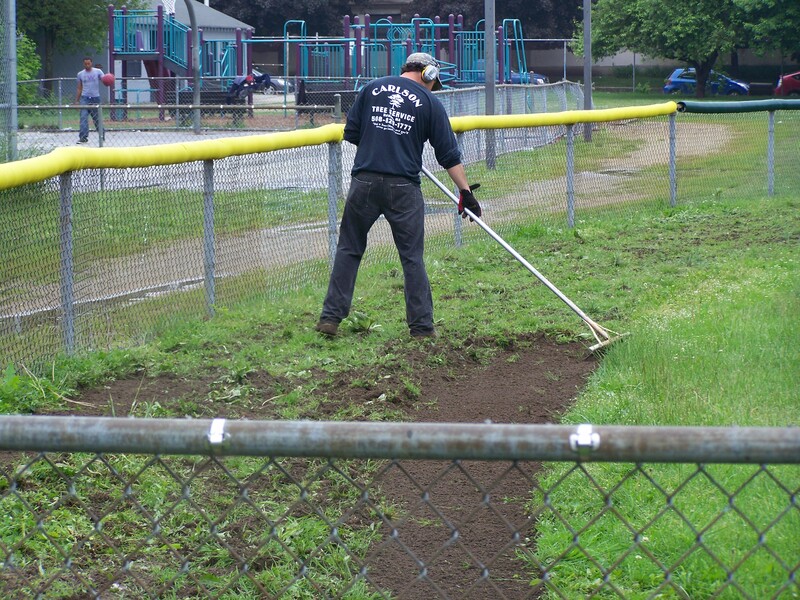 A worker creates a warning track. 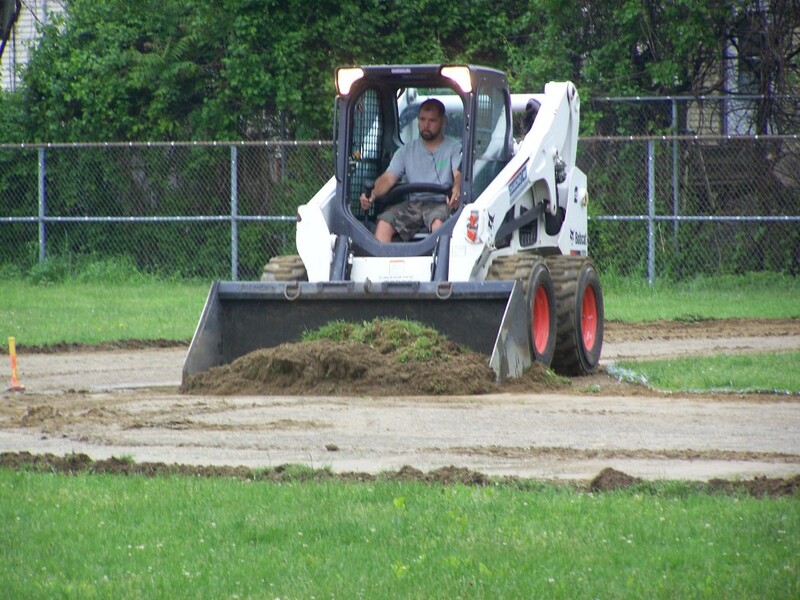 A worker removes the infield surface. 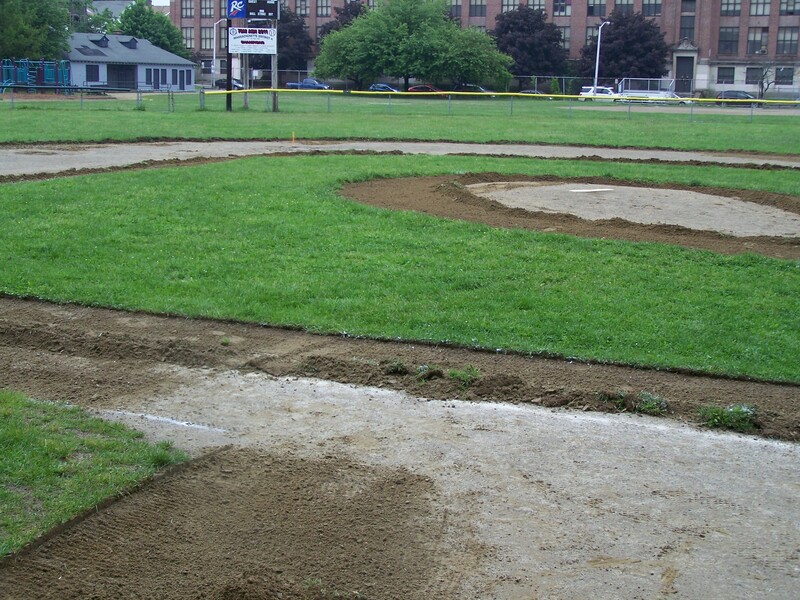 A new infield is cut out. 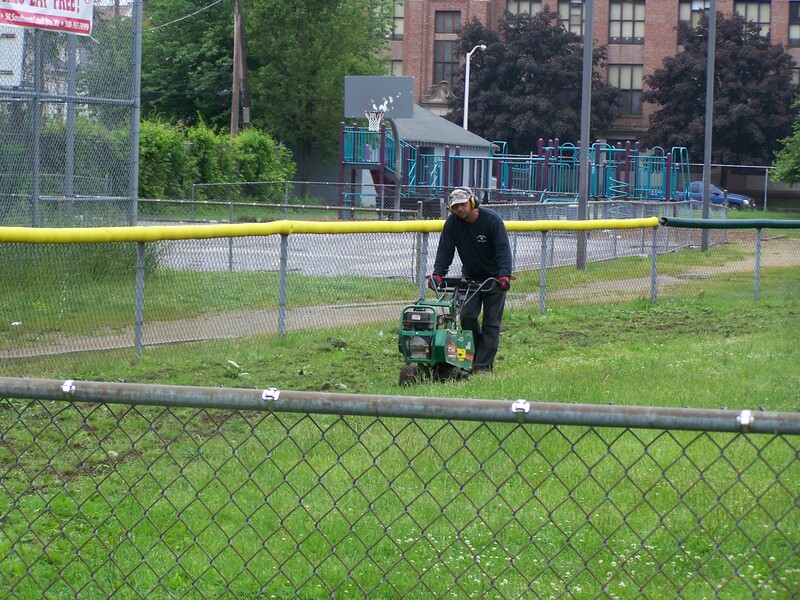 The turf along the outfield fence is removed.